A pristine wilderness. An environmental disaster zone. 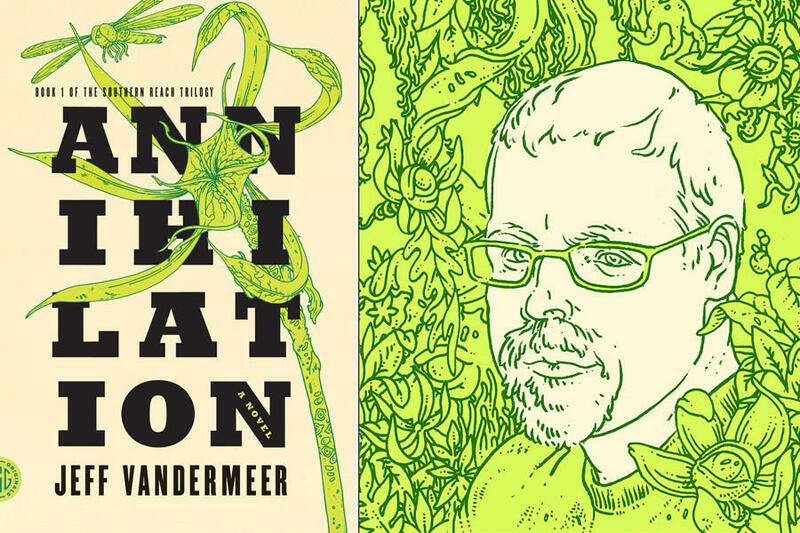 Both phrases describe the mysterious Area X that is the centerpiece of Jeff Vandermeer’s excellent new novel Annihilation, a psychological thriller that rejects the notion that a story must either be science fiction or literary fiction. While the first expedition into Area X returned with tales of an unspoiled landscape free of human contamination, the succeeding expeditions all ended in suicide, murder, or disease. It is with this contradictory history of death and beauty hovering in the background that we are introduced to the members of the eleventh expedition, known only by their respective occupations: a psychologist, a surveyor, an anthropologist, and our narrator, a biologist. Annihilation deals as much with each character’s competing feelings of revulsion and fascination with Area X as it does with the complicated group dynamic that arises when one is unable to detect the other member’s real motivations. As the novel progresses the seeds of disquiet, only hinted at in the novel’s start, begin to take hold. With the disintegration of the expedition, the Biologist is forced to come to terms with her own demons and obsessions, a task that Vandermeer tackles in his compelling prose style. Though the trauma the Biologist faces is decidedly of the sci-fi variety, the fight against her own personal limitations is the central theme of any great piece of literature. This tension between the physical world and the mental comes to an inevitable collision by the novel’s end, but even after the last page is done one is still left with a lingering sense of dread and anxiety, as though the mysterious Area X has somehow contaminated the reader through the physical touch of the page. But the best part about Annihilation? It’s only part one of a forthcoming trilogy. The second book, Authority, drops next month from FSG Originals.